Welcome to Cincinnati and the IAFF 2014 Convention. Since our last meeting in Philadelphia in 2012, I have remained steadfast in my commitment to assist, protect and defend our affiliates and our members across the United States and Canada every day, in every way possible, to protect their lives and livelihoods. With the support and guidance of our General Secretary-Treasurer Tom Miller, each of our 16 district vice presidents, state and local leadership and International staff, this union has built and delivered many outstanding and important programs, services and conferences to help our leadership represent and serve our 300,000 members and work on their behalf to improve wages and benefits, ensure secure retirements, set safety standards and protect their families and rights as union members. These are difficult and trying times for our members, our profession and for this union. Even as the economy has slowly recovered, many of our affiliates are still facing layoffs, cuts to staffing levels, wages, benefits and retirement plans, as well as company and station closures and brownouts. Threats have also emerged in Canada – our Canadian brothers and sisters are increasingly experiencing attacks on their jobs, pensions and other rights and benefits. As the leaders of this great union, the work you do has never been harder. It’s the job of this International to be fully prepared to do all it can to provide the best tools, services and support possible to all of our state, provincial and local leadership who represent and fight for our members across two great countries. But to fight back, it takes resources at every level of this union. Recognizing that these fights are not likely to stop any time soon, over the last two years we have significantly enhanced our ability to support affiliates against this backdrop of threats and attacks by providing the information and tools you need to do your jobs more safely, win in political campaigns, sway public opinion and votes, and be the voice of professional fire fighters and paramedics across North America. E-18 Media, our full-service, in-house video, radio and broadcast production company and studio is one of our powerful new tools that virtually revolutionizes the resources and services we can provide to our affiliates. Wholly-owned by the IAFF Financial Corporation (IAFF-FC), E-18 offers multi-media tools to help locals fight for the rights, protections and benefits our members have earned and deserve, build support from the media, the public and elected leaders and promote the value that professional fire fighters and paramedics bring to the communities they serve. Since our last Convention, our legislative and political efforts have stayed focused on the attacks being slung at our members at all levels. In state after state, and province after province, our leadership and our members have stood up, pushed back and fought, proving once again that this IAFF is a political force known for its philosophy to support its political allies, regardless of political affiliation or party. Our trademark gold-and-black brand remains a sought-after and respected endorsement of political candidates in federal, state, provincial and local elections. We’ve have always found a way to make the political and legislative process work for us, regardless of which political party is in control. But the relentless attacks that started following the 2010 mid-term elections have changed the political landscape. The new crop of lawmakers has made it difficult to stick to our bipartisan approach to politics. But we have kept our resolve. Even in the current era of congressional gridlock, our Government and Political Affairs Division, led by Assistant to the General President Kevin O’Connor, has been able to deflect attacks at the federal level on pensions, mandatory Social Security and taxation of benefits, while also succeeding in re-authorizing the Staffing for Adequate Fire and Emergency Response (SAFER) and Assistance to Firefighters (FIRE Act) grant programs and improving Public Safety Officer Benefit (PSOB) benefits, among other victories. And, in the past two years in Canada, we made several key advances despite a majority Conservative government intent on attacking unions. When I look at the success of the SAFER program, there is no other federal program in which Congress provides no-strings-attached federal dollars to fund the salaries of public safety employees. It was the work of this union that put hundreds and hundreds of millions of dollars into our communities to keep our members on the frontlines and preserve public safety services in countless communities. Throughout the recession – and even as the economy recovers – SAFER has been a lifeline for affiliates in jurisdictions that have applied for and received SAFER funding. Since the last Convention, affiliates and their fire departments have received more than $675 million to keep our members on the job. And, since 2008, in excess of $2 billion in SAFER money has saved more than 15,000 fire fighting jobs and brought our members who received pink slips during the recession back to work so they can continue protecting their neighbors and this country. And, we were successful in making permanent the waivers that allow SAFER funds to be used to rehire fire fighters who have been laid off as communities continue to struggle financially. While we always want to be on the offensive, in the last 18 months, our efforts have been largely focused on protecting existing programs and fending off proposals that could have disastrous effects on our members and this union. Our biggest frustration has been in our efforts to reform the Affordable Care Act (ACA). Provisions in the law – including the so-called “Cadillac Tax” – that reduce health care benefits that our affiliates have negotiated, pose significant problems for our members. Efforts to reform portions of the ACA will be a defining issue for our union in the coming months, even years. We have also spent more and more resources playing defense with the 113th Congress, which has attempted to impose pension “reforms” that would replace defined benefit pension plans with annuities sold by insurance companies and encourage localities to contract out EMS to the private sector. Federal employees – including fire fighters – have also come under harsh attack with repeated efforts to increase pension contributions, instigate furloughs and threaten staffing cuts. In the United States, organized labor became a focal point for the 2012 presidential campaign. This union played aggressively to re-elect President Barack Obama and Vice President Joe Biden based on their records of support for professional fire fighters and our issues. In addition to the presidential campaign, we invested in targeted gubernatorial, state and local races, helping our affiliates win big and further strengthening our political brand. We funded Independent Expenditure (IE) campaigns in key House and Senate races that included television, radio, direct mail and grassroots efforts for our allies on both sides of the aisle. Investing in IEs was a bold but successful step, helping elect our friends and promote the IAFF political brand at the same time. We again weighed in heavily in 2013 in state and local races, in hopes of dampening efforts to cut public safety budgets and diminishing the attacks on fire fighter rights and benefits. Our efforts nationwide sent a clear message to voters to invest in public safety, and our success was upheld at the ballot box. In scores of other races in legislatures and city councils, I am especially proud of the many IAFF members or family members who ran for office. I have always said no one can better represent fire fighters than one of our own. Many of these candidates are past graduates of our Political Training Academy. Since its inception, we have trained more than 900 IAFF members or family members. In 2013, we conducted our inaugural Collective Bargaining Referendum Academy in Memphis, Tennessee. While advancing a national collective bargaining bill remains our top legislative priority, the current political environment makes it almost impossible. In the meantime, the referendum process is the best path for affiliates to achieve collective bargaining at the local level. While 2014 is a mid-term election year, there is still much at stake for our union. At the federal level, 36 Senate seats are up – 21 Democrats and 14 Republicans. Of the 21 Democratic seats, 10 are considered in play, and the IAFF and FIREPAC will be engaged in many of these races. In addition, 36 states will hold gubernatorial elections, with Republicans defending 22 seats. Our political principles are simple, but steadfast. We support those who support us. Sticking together and having each other’s backs is part of this great profession we call “the job.” And sticking to it is what will ensure that we ultimately prevail in November and in the fights we face across North America. Our political and legislative operation in Canada – directed by Assistant to the General President for Canadian Operations Scott Marks – continues to work to advance the legislative issues affecting our Canadian members. Our Canadian affiliates have embraced the same IAFF political action philosophy of supporting candidates who support issues important to fire fighters, and our members across Canada are increasingly engaged in advancing those issues. We celebrated a major legislative victory when the Public Health Agency of Canada pledged to revise the Canadian Pandemic Influenza Plan to give fire fighters priority access to vaccines and anti-virals in the event of an influenza pandemic. We were also able to secure funding extensions through March 2016 for our Canadian Haz-Mat and CBRNE Training Initiative, a partnership with the government of Canada that provides a recognized level of Haz-Mat and CBRNE response training to first responders across Canada free to municipalities, thanks to federal government funding. This is a significant legislative victory and a great credit to this union as we uphold our position as a leading advocate for public and fire fighter safety. Our goal is to secure additional long-term funding for the program, which has trained nearly 2,000 first responders across Canada since its inception in 2007. In late 2012, we called for the Canadian Government to establish a national Public Safety Officer Compensation (PSOC) benefit in the amount of $300,000 to give fire fighters priority access to vaccines and antivirals in the event of an influenza pandemic and to amend the National Building Code of Canada to include fire fighter safety as a core objective. An important advance occurred in November when Private Member’s Motion M-388, which called on the government to act on these three issues, was adopted in the House of Commons. M-388 was introduced in the House of Commons by Saskatchewan Liberal MP Ralph Goodale shortly after speaking at the IAFF’s 19th Canadian Legislative Conference. While private member’s motions are non-binding, the fact that a majority of MPs representing a majority of Canadians voted in favour of M-388 sent the federal government a clear message that it should act on our legislative issues. And our affiliates in Canada have spent considerable time and resources over the last two years asserting their opposition to Bill C-377, legislation disguised as a proposal that would require unions to comply with burdensome financial reporting and intended to keep unions mired in red tape and undermine our members’ ability to be politically active. Our union was among the most active in a Canadian Labour Congress (CLC) campaign against Bill C-377. Bill C-377 was adopted in the House of Commons in December, but in June 2013, the Canadian Senate unexpectedly stripped down the legislation. It was reverted back to the House of Commons in its original form, and then kicked back to the Senate but remains stalled with no indication of it moving forward anytime soon. One of the main goals of our Canadian Operations is to ensure that the vast range of IAFF services is available to our 22,083 members, and that those services are tailored where necessary in recognition of Canada’s unique labour, legislative and legal systems. Since our last Convention, our Canadian Office began the development of several comprehensive initiatives, including a strategy to maintain and enhance the current level of participation in EMS by Canada’s professional fire fighters. Our role in providing emergency medical response in Canada is under attack in several provinces with an aim to reduce the number of medical calls fire fighters respond to or to prevent them from practicing those skills in the field. With the exception of a few communities in Alberta and Manitoba, EMS is a vast, untapped resource in Canada, and efforts to improve patient care are being ignored or even blocked. Further, the debate about fire fighters’ role in EMS is beset with misleading information by rival service providers who fear that fire fighters are out to take away paramedic jobs rather than work together in a system that puts the patient first. But our union is not going to sit on the sidelines as the attacks unfold, because fire fighters have an important role to play in the delivery of EMS in Canada. Our goal is to ensure that EMS will continue to be a major focus for the IAFF in Canada. For years, our members have been fending off an avalanche of attacks from all sides. As these fights rage on, our Canadian Office is also developing resources to help affiliates “change the conversation” in the media, with our members, at the neighborhood barbecue or anytime the record needs to be set straight with positive messaging about our value to our communities. This project was initiated because too often, too many local politicians and media focus on the cost of the fire service, not the value of it and don’t see fire protection as an investment. Being prepared with effective messaging and talking points can help generate support for the issues under attack. More on these and other initiatives are detailed in the report on our Canadian operations. Despite advances in many safety and health areas, fire fighting remains one of the most dangerous occupations in North America. Our members continue to be killed, injured and exposed to infectious and occupational diseases on the job, in addition to suffering psychological stress. Our mission is to make this dangerous profession as safe as possible, and I am happy to report that our Occupational Health, Safety and Medicine Division, under the direction of Assistant to the General President Pat Morrison, has made tremendous strides to protect our members on the frontlines. I don’t have to tell any of you about the tragedies we have had on the job since the last Convention. We experienced multiple line-of-duty deaths at a more frequent pace than any other 2014Indianapolis, Houston and Byran, Texas, Toledo, Boston and the extraordinary loss of 19 members in the Yarnell Hills Fire in Prescott, Arizona. Unfortunately, our profession’s history is filled with those who have made the ultimate sacrifice. It is the reality of a calling that can be very tough, and it’s been a tough couple of years. But we have been at the immediate call of every affiliate at the most difficult time for any fire department. We also review National Institute of Occupational Safety and Health (NIOSH) investigations and coordinate the federal benefits provided through the Public Safety Officer Benefit (PSOB). Many of these deaths and injuries are preventable, and we continue to enhance existing programs and develop new ones to make this dangerous profession as safe as possible. One of our most successful initiatives is our Fire Ground Survival (FGS) training program, which prepares our members for MAYDAY prevention and operations. The program teaches fire fighters to perform potentially life-saving actions if they become lost, disoriented, injured, low on air or trapped, and is designed to provide consistent standards and operating protocols throughout the fire service. Funding for the FGS training program is in part from the Department of Homeland Security (DHS) through the Assistance to Firefighters (FIRE Act) program, and the curriculum is developed from lessons learned from fire fighter fatality investigations conducted by the NIOSH, among other subject matter experts. The next phase of FGS implementation is to make this program available to all affiliates, regardless of size and location. The training is only as good as our ability to deliver it – so to truly expand it, we are deploying two FGS mobile training apparatus as a beta test, and are developing a plan for additional deployments. The mobile training apparatus include all of the props needed to deliver the training to members so that lack of a training facility is no longer an obstacle. Over the last two years, we have continued to pass and protect legislation at the local, state and provincial level. The IAFF was instrumental in getting Congress to pass the initial PSOB program, and has been the principal author of every amendment affecting IAFF members’ coverage and the benefit amounts. When the delay in payments of those benefits continued to occur as a result of the unnecessary and troublesome intervention by the Department of Justice’s (DoJ) Office of General Counsel (OGC), we were at the forefront in advocating a thorough review and creating a process to reform the program by taking the OGC out of the process. The PSOB program will now be entirely managed within the Bureau of Justice Programs, removing the Office of the General Counsel from the process. This change will ensure that benefits are paid quickly and efficiently to the survivors of those killed protecting their communities. I am also pleased with our efforts to obtain or maintain presumptive laws addressing heart disease, lung disease, cancer and infectious diseases. This has included direct testimony before state and provincial legislators. We also maintain an online resource of presumptive legislation in the United States and Canada. The issue of presumptive legislation has also advanced in several Canadian provinces, including a promise in Ontario to add six cancers to the list of those deemed occupational in Canada’s biggest province. In addition, British Columbia was successful in restoring presumptive heart legislation that was stripped away more than a decade ago by another government. Newfoundland is the only province where Canadian IAFF members don’t have presumptive legislation. Every bit as important as physical health are behavioral health issues, but they are often overlooked or disregarded in the fire service. Our focus on suicide in the fire service as a behavioral health issue includes development of web-based behavioral health training, referral and educational resources that address suicide prevention and intervention. We have secured federal grant dollars for this effort and expect this online tool to be available to the membership later this summer. It has been a longstanding goal to prevent occupational cancer, and we have implemented programs that address this issue for our affiliates and their fire departments. There is significant scientific evidence that shows fire fighters have higher incidents of cancer compared to other occupational illnesses. These studies clearly indicate that such cancers are related to the job of fire fighting. In fact, NIOSH in its most recent report reinforced this grim fact and supported the link between the exposures to toxins – including carcinogenic flame retardants – and that fire fighters face an increased risk of occupational cancers. Concerns are not only related to combustion, but in everyday contact. This is the largest health related issue facing this profession. Last year, the IAFF partnered with the producers of the HBO documentary, “Toxic Hot Seat,” to help educate affiliates about efforts to remove disease-causing flame retardants from upholstered furniture and other products and encourage them to take action at the state and local level to ban the use of toxic chemicals and make it a requirement that manufacturers of these products use alternative safety measures in lieu of flame retardants. As part of the partnership, many IAFF affiliates have held screenings of the documentary, and it will also be shown at this Convention. Much of the movement towards toxic-free fire safety and the removal of toxic flame retardants has been achieved by passing legislation and changing regulations and standards at the local, state and provincial level. Affiliates in several states, including Maine, Washington, Vermont and Oregon, have already passed state laws banning dangerous flame retardants. The IAFF supports affiliates’ efforts to ban and regulate harmful flame retardants and to advocate for non-toxic alternative methods to address flammability that do not involve flame retardant carcinogens. We are also fully committed to protecting the health and safety of our members and, in conjunction with the Cancer Support Network, have developed an online awareness and prevention resource on all occupational diseases. Our Fallen Fighter Memorial in Colorado Springs is now more than 28 years old. These hallowed grounds are where thousands gather every September to celebrate and honor the lives of our brothers and sisters who have died in the line of duty during the past year. At this Convention, we are putting forth a resolution for reconstructing the entire Memorial site in order to ensure the integrity of the site for future generations of fire fighters and their families. Since the granite walls were erected in 1989 and in 2002, more than 2,800 names of fallen members have been etched. Currently, the Memorial includes the names of the fallen since 1976. We have researched every member killed in the line of duty from 1918 to 1975, and those names will be added to the new Memorial. The plan also calls for additional space to accommodate the families of the fallen during the annual Fallen Fire Fighter Memorial observance. If approved, the rebuild will begin following the 2014 observance and finished in time for the 2015 service. As technology has become fundamental in advancing our communications operation, our Communications and Media Department – led by Assistant to the General President for Media, Communications and Information Technology Jeff Zack – has worked to make sure we use our resources to more effectively communicate with and assist our affiliates, as well as provide our leadership with a bigger toolbox for their own communications operations, including public relations, political campaigns, community outreach and other efforts. The fact is, technology has changed the way people want to receive news and information, and if we want to reach our members, we need to meet them where they are – and that is on the go, immediately and often. In 2012, delegates passed Resolution 2 allowing us to reduce the frequency of our flagship publication, the International Fire Fighter magazine. In the two years since the last Convention, we have scaled back to publish four editions each year, giving our magazine a new look and a new name: Fire Fighter Quarterly. As the primary means of communicating with our nearly 300,000 members, our editorial standards remain the same – to report on every major issue, initiative and project in our magazine and provide more in-depth coverage and analysis in our articles. With the cost savings from printing and postage, we took a close look at our communications and media operation, and made some big changes, investing in new technologies so that we can deliver information to you more quickly and in a variety of formats and platforms. I am most excited about the release of our new IAFF Frontline App during our Convention here in Cincinnati. It gives affiliate leaders and members access to tools and information from the IAFF in real time anywhere, anytime using their smartphones and tablets. In addition, affiliates can use our new app to customize content specifically for their members with local news, events and information. In conjunction with the app launch, we have also redesigned the IAFF web site to offer a more dynamic, mobile-friendly experience so members can easily navigate the site and find content. With today’s digital world offering so many means and mediums for our communication efforts, social media has proven to be one of the most effective ways to connect with our members about current news and events, as well as the media, other fire service and labor organizations and the public. We first entered the social media world in 2010, just before our Convention in San Diego. Since that time, our Facebook page has grown exponentially, with more than 102,000 “Likes” – and literally rising daily. In addition, more than 22,000 people and organizations follow us on Twitter. With these and other emerging social media, we can also distribute news and information beyond our membership to reach the media, elected officials, the public and other allies and supporters. Just recently, we experienced the power of social media to spread our message across a much wider audience using a new application called Thunderclap, a tool that serves as a message amplifier, giving affiliates and members the ability to donate their own private social media networks as a pass-through when the IAFF has important information to share. In May, the IAFF produced a 30-second Memorial Day public service announcement (PSA) honoring those who have made the ultimate sacrifice for our country, then asked members to help spread the message so that others could share the PSA. This Thunderclap instantly reached 326,000 people and was shared more widely beyond that. In addition, we helped more than 80 affiliates customize the PSA to broadcast on their social media feeds, web sites and local television stations. The FOX News channel also ran the PSA nationally May 15-26. The PSA is also among the resources we offer to help affiliates develop community outreach campaigns that help boost our members’ public image and build relationships with elected leaders, the media and local businesses. Similarly, we have developed a series of soft news stories that show the value fire fighters bring to their community and also promote public safety – such as fireworks safety, Halloween safety and tornado safety – that are packaged as ready-to-plug-in toolkits complete with press releases, info graphics, suggested tweets and video. Over the last several years, hundreds of our affiliates across the United States and Canada have participated in events in October in support of Breast Cancer Awareness Month and to raise money for national and local charities dedicated to finding a cure for cancer. Delegates at our 2010 Convention in San Diego passed a resolution to support these efforts. And, for the third consecutive year, we collaborated with Susan G. Komen for the Cure to offer a “Passionately Pink for the Cure” program for affiliates that choose to support the Komen organization. Money raised by our affiliates that participate is split equally to benefit Komen and our IAFF Charitable Foundation. We also worked with then Canadian Breast Cancer Foundation (CBCF) to coordinate breast cancer awareness and fundraising efforts in Canada. Another community outreach opportunity available to our affiliates is Firefighters for Operation Warm, a program specifically branded for the IAFF and its affiliates to bring warm coats to needy children. Support for the program was established at our Convention in Philadelphia through a resolution that committed to delivering coats that are made in the United States or Canada by union workers. For the initial launch in 2012, coats were produced using American-made materials. I am pleased to announce that American Apparel, whose workers are represented by SEIU Local 4405, will be manufacturing the coats going forward. These kinds of programs and resources are important for promoting affiliates’ external communications efforts as they continue to fight back against ongoing and politically motivated attacks. In the last two years, the requests for affiliate assistance have been steady, and the Communications and Media Department’s work has helped win a number of tough battles. A powerful media campaign was key to our success in Central Coventry, Rhode Island, where our local was engaged in a nearly one-year battle against an aggressive citizen task force intent on liquidating the fire department and privatizing EMS. Local 3372 waged a campaign to convince the Rhode Island General Assembly to pass legislation to prevent the liquidation and instead put the fire district under state oversight. Using a multi-faceted media campaign that included direct mail, print and online ads, social media and a web site dedicated to the issue. Local 3372 was able to change the narrative and, in the end, the General Assembly passed the bill, which was signed by the governor, saving the fire district and protecting our members’ jobs. Other successful efforts include a campaign to restore an illegal pay cut for Memphis, TN Local 7184 members and other public employees, a public education campaign in Allen Park, Michigan asking citizens to vote yes on a millage to prevent draconian cuts to public safety (the measure passed by a 70-30 margin) and a campaign that ended a six-month fight to preserve the jobs of 19 Omaha, NE Local 385 members after the mayor threatened dangerous cuts to fire department resources. The full weight of our resources has also been brought to bear to help our affiliates in Canada fight back against an increasing number of attacks on staffing, wages, pensions, the arbitration system, unions and the middle class by anti-union lawmakers at all levels of government, as well as attacks by the media. Our Canadian Office helped Owen Sound Local 531 and Midland Local 1581 fight back against local community groups that are mindlessly calling on their municipal councils to cut frontline fire department capabilities without any credible analysis of the impact on public safety or insurance premiums. We also helped numerous locals throughout Canada fight back against cuts to frontline fire protection or other threats. At the provincial level, we assisted the Saskatchewan Professional Fire Fighters Association in its fight against Bill 85, a regressive piece of legislation that upends decades of labour peace in the province with radical changes to labour laws, including stripping away access to binding arbitration from the province’s four smallest locals, which are already among the lowest paid in Canada. In Alberta, affiliates are working to limit the damage of a vicious attack on public sector pensions by the province’s Progressive Conservative government, despite the fact the pensions plans are in good financial shape. In British Columbia, the arbitration system is also under attack and in New Brunswick, pension reform has affected several affiliates. These are just a few examples of the dozens of campaigns we have assisted with over the last two years. Others are detailed in the Media and Communications and Canadian Operations reports. The assistance we provide to our affiliates would not be possible without our Technical Assistance and Information Resources Division, under the leadership of Assistant to the General President Lori Moore-Merrell. This Division exists specifically to protect our members’ wages and benefits and address many other issues related to labor and fire and EMS operations, including staffing and deployment. It is also through the work of this Division that we developed a web-based GIS tool that allows affiliates to conduct their own basic GIS deployment evaluations. A major project for this Division was the National Institute of Standards and Technology’s (NIST) landmark study on the effects of crew size in high-rise building fires – part of a multiphase fire fighter safety and deployment study funded by an Assistance to Firefighters (FIRE Act) grant to develop best practices for fire departments. Results of the study were released in 2013. In 2010, we released the results of a similar study specific to residential structure fires. We developed an online tool kit, making the study resources available to our affiliates to use to educate elected officials and decision-makers in an effort to help them understand the connection between cutting public safety budgets and endangering public and fire fighter lives. The study is an important resource; as an independent government study, it is scientific proof that the size of fire fighting crews and response times has a significant effect on the ability to save lives and property. The study report was also presented to the NFPA 1710 Technical Committee, and language from the study has been added to the standard, with release of the revision expected in 2015. The Multiphase Study Team is also developing a National Fire Operations Reporting System to ensure that fire chiefs and labor leaders have the data to justify system changes or assess the impact of proposed cuts. As active shooter events become all too common, the need for fire and police organizations to work together to ensure appropriate and effective response to these volatile and dangerous scenarios is critical, as is the need for standard operating procedures and training to ensure that all fire and law enforcement personnel are prepared to respond to these incidents. Delegates at this Convention will be discussing this issue as part of the debate regarding Resolution 11 – IAFF Members Responding to Active Shooter Events. Another important initiative for the Technical Assistance and Information Resources Division is our Major Incident Awareness and Tracking Tool. Working with the National Weather Service and ESRI, we have developed a resource that provides near real-time information of large weather-related incidents throughout the United States and Canada. Our WebGIS interface allows affiliate leaders to see where incidents are occurring along with the potential threat to IAFF members, as well as contact information for any disaster relief needs. Our Grants and HazMat/WMD Training Division, led by Assistant to the General President Elizabeth Harman, has helped hundreds of affiliates prepare applications for federal grants that fund fire service programs, training, equipment and safety and prevention programs, including SAFER and FIRE Act grants, answering questions and facilitating communication between the local, fire department and city throughout the process. Our affiliates have received more than $675 million in grants in the last two years. Our HazMat/WMD training programs are also funded with federal grant dollars. We have received more than $75 million in federal funds, which has allowed us to develop curricula and training for more than 150,000 emergency response personnel. In response to last year’s deadly chemical plant explosion in West, Texas, we have been working closely with the Department of Homeland Security (DHS), the Environmental Protection Agency (EPA), the Department of Labor (DOL), the Department of Justice (DoJ), Department of Agriculture (USDA) and Department of Transportation (DOT) to identify ways to improve operations coordination with state and local partners. In addition, we are working with the Pipeline and Hazardous Materials Safety Administration (PHMSA) to enhance the safe transportation of bulk Bakken Crude Oil and other flammable liquids. Another tremendous resource available to help our affiliates as they face new challenges and threats is our Education and Human Relations Division. 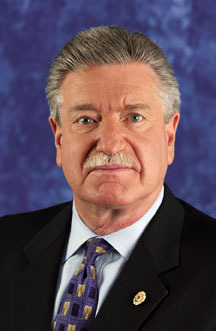 Led by Assistant to the General President James Ridley, this Division provides numerous programs – including online learning, classroom study and conferences – to give affiliate leaders the skills and knowledge to run their unions and serve their members and advance their skills or advance their career. Our annual Affiliate Leadership Training Summit (ALTS) remains our number-one education program, offering pre-conference events, workshops and networking opportunities. In addition, the Partnership Education Program (PEP) allows us to provide affiliate leaders training at state and provincial conventions to help enhance their leadership skills. In the last two years, we have started to offer regional PEP seminars designed to provide affiliate leaders an opportunity to learn about district and region-specific issues and network with leaders from neighboring locals. In 2012, we piloted two regional PEP events in the 8th and 12th Districts, and in 2013 we held two additional events in the 8th and 11th Districts. Additionally, we provided five customized trainings for several local and state affiliates. In January of this year, we held our 25th Ernest A. “Buddy” Mass Human Relations Conference in conjunction with ALTS. It was a productive Conference that embraced the theme, Strength Through Diversity. Our keynote address was delivered by Lee Saunders, president of the American Federation of State, County and Municipal Employees (AFSCME). In recognition of the 25th anniversary of the Civil Rights Committee (now the Elected Human Relations Committee), all attendees received commemorative coins. Since the last Convention, we have entered a post-secondary education partnership with Kaplan University to offer all members in the United States and Canada special tuition rates and other time- and money-saving benefits. In addition, Kaplan University allows extensive life-experience to count towards degree credits. Across the United States and Canada, our Fire Ops 101 program has been a valuable tool designed to give elected leaders an opportunity to experience a day in the life of a fire fighter and educate them about the inherent dangers of the job, the physical strength required and the importance of adequate staffing, proper equipment and ongoing training. It is one of the most effective ways to expose decision makers and media to the hard work our members do to protect their communities. Our online Fire Ops resource is a tool for helping affiliates plan and implement their own Fire Ops event. It is a proven tool for convincing lawmakers to invest in public safety. Local elected leaders and media in Cincinnati are participating in a Fire Ops event here at our Convention. Our legal operation – under the supervision of IAFF General Counsel Tom Woodley – over the last two years has worked to respond to the increasing demand for legal assistance and preparation. Our in-house Legal Department, under the Direction of Legal Counsel Baldwin Robertson of Woodley & McGillivary – has provided support and assistance to our International officers and affiliates using our Legal Guardian, Frontline and EDF programs. Legal assistance in Canada is handled by IAFF Legal Counsel Sean McManus. During the two-year period since the last Convention, our General Counsel’s Office has handled a number of court cases and other matters protecting the interests of the International and safeguarding the rights of our affiliate leaders and members. In addition to establishing favorable court precedents and obtaining relief for adversely affected members, the IAFF has also been able to recover substantial court-awarded litigation fees and expenses against employers who have violated the law. Our Legal Guardian Policy provides financial support and direct legal representation for cases in which union leaders and activists have been subjected to retaliation for engaging in union-related activities or speaking out on matters of public concern affecting union members, and for cases expected to have a precedent-setting impact on other IAFF affiliates and members. Under the Fair Labor Standards Act (FLSA), the International can award a $10,000 grant to pay for initial litigation expenditures in pursuing a court action to enforce the overtime rights of its members. When these cases are favorably concluded through a court decision or a settlement, the $10,000 is reimbursed to the International. Our Frontline Policy provides legal assistance to members and their families when a member has been killed or seriously injured in the line of duty as a result of defective products or the negligence of a third-party. Our union has prevailed in many of these cases. A complete summary of all our successes is in the General Counsel’s report. This year marks the 12th year of operations for the IAFF Financial Corporation (IAFF-FC). Not only has the IAFF-FC built a strong lineup of financial services and programs, it has created several exciting new initiatives in the past two years and identified some critical areas of growth and innovation. The first is to provide IAFF members in the United States with a worker-friendly solution to banking services. Rather than banking with some of the same institutions that contributed to the financial meltdown of 2008, the IAFF-FC now provides banking services through Amalgamated Bank, a majority union-owned bank that is responsive to the needs of the everyday working person. The financial success of the IAFF-FC has generated enough resources to fund E-18 Media, which – as I mentioned at the beginning of this report – is a first class video production studio in the lower lobby of the IAFF headquarters building. The IAFF-FC, under the direction of its Chief Operating Officer Carrie Tucker, has returned a revenue stream of more than $2.66 million to the IAFF through contracted services provided by the IAFF and sponsorships of IAFF events. In Fiscal Year 2014 alone, an additional $931,000 will bring the total revenue to $3.6 million. Over the last two years, our Charitable Foundation, which serves as a 501 ( c ) (3) umbrella organization for all of all charitable Funds, has continued to support our members in many ways. In 2012, Nationwide Retirement Solutions committed to supporting the Foundation with a pledge of $100,000 per year for five years. 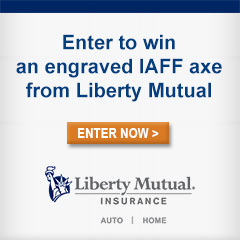 And, in October 2013, Liberty Mutual launched a campaign offering free rate quotes. For every quote, Liberty Mutual donates $10 to the Foundation. Liberty Mutual is repeating this effort in 2014. The Charitable Foundation has also partnered with Armida Winery to offer IAFF Wines and an IAFF Wine Club. The Charitable Foundation receives 18 percent of proceeds from the sale of the IAFF-branded wines. As mentioned earlier, since 2011, we have partnered Susan G. Komen for the Cure during Breast Cancer Awareness Month, with the money raised split equally between Komen and the Foundation. The late Jay Johnson, a member of San Mateo, CA Local 2400, bestowed the majority (nearly $600,000) of his estate to our W.H. “Howie” McClennan Fund. The IAFF Executive Board has submitted a resolution at this Convention to recognize Jay Johnson and his bequeath to the Fund, which provides funding for post-secondary education for the children of fire fighters and emergency medical personnel who are killed in the line of duty. The IAFF Charitable Foundation Burn Fund, which provides support for members who suffer burn injuries and their family members, has developed a guideline for locals to implement within their departments. Working in conjunction with the Phoenix Society for Burn Survivors, as also developed the Survivors Offering Assistance to Recovery (SOAR) program specifically for fire fighters and their families. This peer support group links a trained fire fighter burn survivor with the fire fighter and the family to assist in the recovery process. More on each of the Foundation’s five funds is in the Charitable Foundation report. A remarkable milestone is the 60th anniversary of the IAFF’s ongoing commitment to “Fill-the-Boot” for the Muscular Dystrophy Association (MDA). MDA has completely redesigned its Fill-the-Boot campaign materials for our affiliates using a “60 Year Strong” message along with imagery of child and fire fighter. Last year, an estimated 1,700 affiliates held more than 2,000 events in support of MDA, raising $26,155,663 – an increase of $700,000 (3 percent) over 2012. In May of last year, San Antonio, TX Local 624 member Roger Lopez was designated as the new IAFF-MDA Coordinator. He will be assisting our members in their fundraising activities. For the first time, in 2013, the Show of Strength Telethon was broadcast on ABC television stations across the country as a two-hour primetime show featuring many IAFF affiliates and the work they do year-round to support MDA. An estimated 1,700 affiliates held more than 2,000 events in support of MDA in 2013, raising $26,155,663 – an increase of $700,000 (3 percent) over 2012. Sadly, in 2013, we also mourned the passing of one of Shaun Probert, a member of Shaker Heights, OH Local 516, to ALS (Lou Gehrig’s disease), who spoke about his fight against the disease at our 2012 Convention. Our Canadian members continue to support Muscular Dystrophy Canada (MDC). In the past two years, the extraordinary efforts by our brothers and sisters to the north raised almost $2.8 million that will have an enormous impact on the 50,000 Canadian men, women and children affected by muscular dystrophy. I am especially proud of the dozens of Canadian affiliates that hold rooftop campouts to raise money for MDC. Our partnership with Muscular Dystrophy Canada has also spanned 60 years. Our Canadian members raised a record $1,425,000 for MDC in the last year through rooftop campouts, boot drives and other fundraising initiatives. I want to recognize our Convention sponsors for their generous support in ensuring a successful and memorable week here in Cincinnati. Please say thank you to these important partners with the IAFF when in the Exhibit Hall. I thank you for the honor of leading this great International and for the opportunity to continue to serve the 300,000 members who dedicate their lives to keeping our communities throughout North America safe and who work tirelessly on the frontlines risking their lives to save those of others. I am so proud of our incredible affiliate leadership whose work has shown just how strong this union is when we’re working together for a better future. This week, we will be making critical decisions at every level of our union to make sure our members continue working, stay safe, keep the right to collectively bargain, enjoy a secure retirement and have a voice. This is our week to make a difference for our union. The reports on each of the IAFF Divisions provide a more detailed accounting of the products and services this International has brought to our members and the successes we have achieved over the last two years.